The Pentax camera exhibit at this year's CP+ show took an entirely different form than in prior years thanks to the debut of the Pentax K-1 full frame. Ricoh Imaging transformed the booth to focus primarily on this camera, as it turns out that the majority of the company's recent efforts had been dedicated to K-1 development. 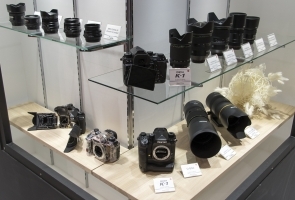 This is not surprising given the fact that the camera represents the start of a brand new product line. 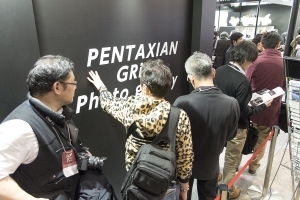 Throughout the Ricoh booth, it was evident that this year's show was all about the Pentaxians who had for years been pleading for a full-frame launch. 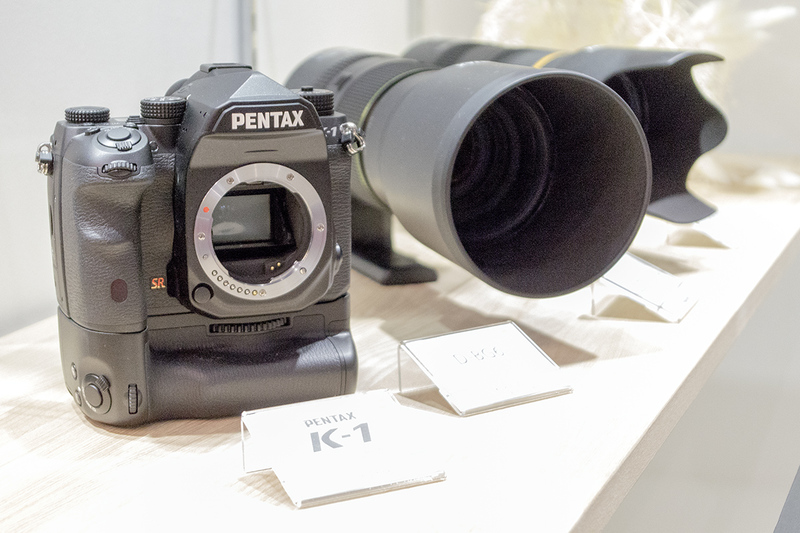 In fact, the Pentax K-1 completely took the spotlight away from the Pentax APS-C, 645, and Q lineups. 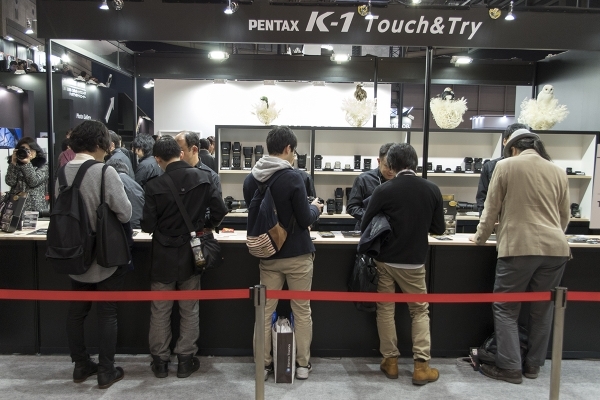 The other products didn't have their own dedicated displays; instead, show visitors were able to get a distraction-free hands-on look at the K-1 at the "Touch and Try" lens bar. Of course, this does not mean that the other product lines are being abandoned. 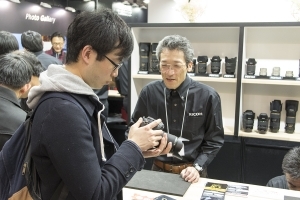 Rather, CP+ 2016 is simply meant to celebrate the K-1. 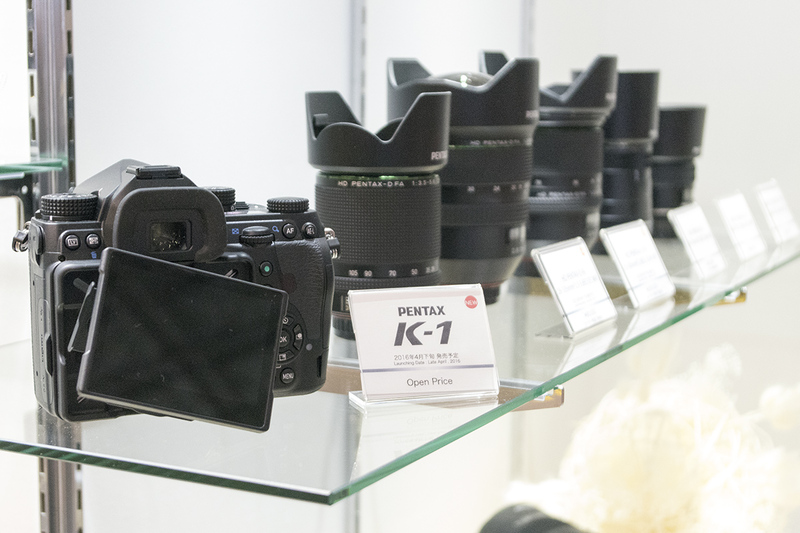 Among the more interesting exhibits was a sealed case featuring the K-1's various innards. The components on display include the shutter mechanism, sensor, PRIME IV processor, SR II shake reduction system, metering sensor, and AF sensor. Pentax's 6-megapixel full frame prototype from the early 2000's is shown alongside the new K-1. 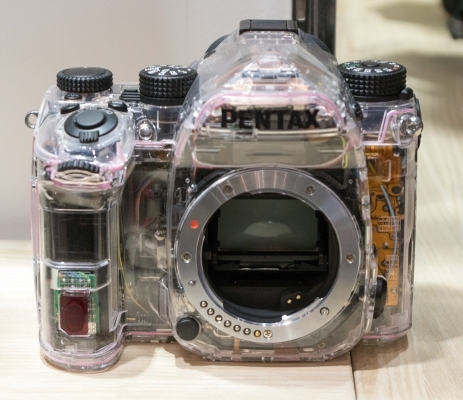 Interestingly, we were told that the prototype is a fully functioning camera— but it can't be powered on because of the battery has failed (and no replacement is available). The K-1 in its current form had been in development for around four years, but it clearly isn't based on the MZ-S derived prototype. It's amazing how far technology and user interface design has come! Finally, the obligatory transparent and bisected bodies body made an appearance in a separate case. 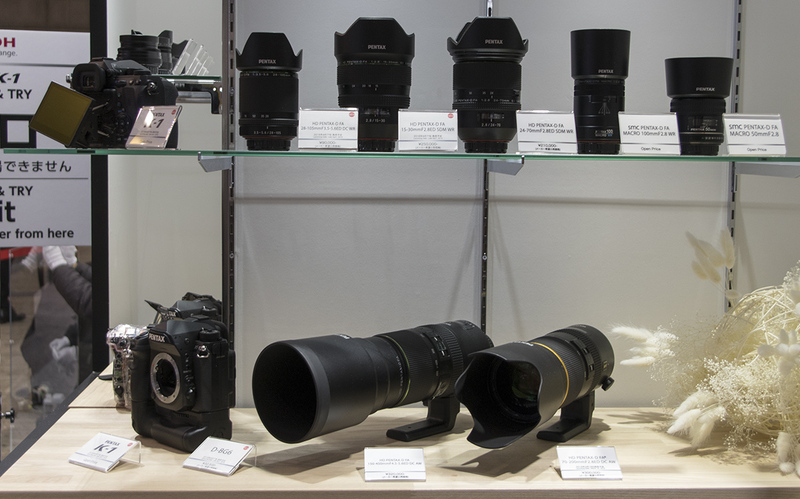 The body sliced in half allows us to appreciate just how much larger a full-frame prism and mirror is compared to an APS-C counterpart. 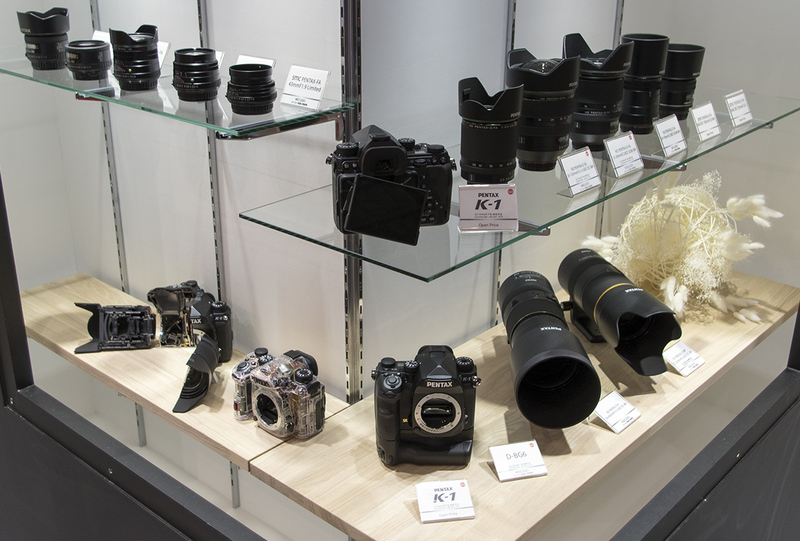 See below for additional photos from the K-1 display, and stay tuned for more from CP+ 2016! 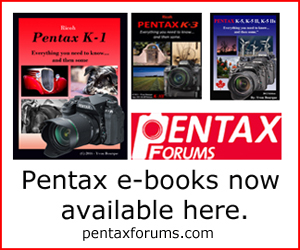 Photos appearing in this post are copyright 2016 PentaxForums.com and may not be used elsewhere without permission.